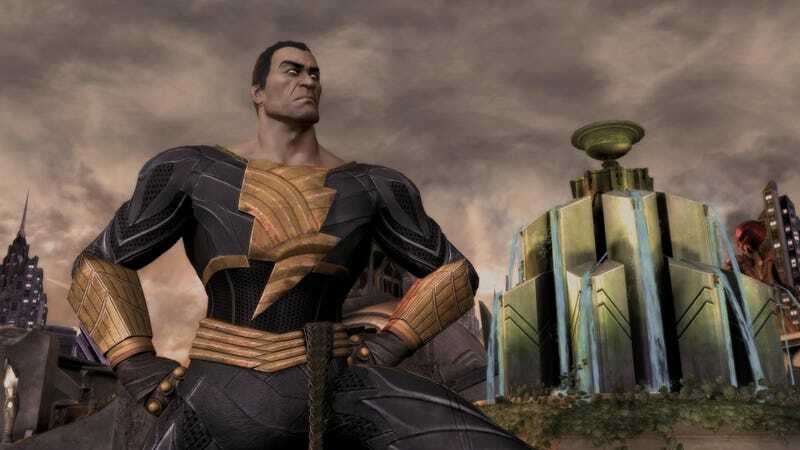 Injustice Gets a Little More Villainous by Adding Black Adam. You Can Try Him Out at PAX East. Available for purchase at launch for the Xbox 360® video game and entertainment system from Microsoft and PlayStation®3 computer entertainment system, the Injustice: Gods Among Us Season Pass grants purchasers access to four of the game's upcoming downloadable characters for the price of three. The Injustice: Gods Among Us Season Pass will be available when the game launches, April 16, for $14.99 (PlaySation®Network) or 1200 Microsoft Points (Xbox LIVE® online entertainment network) and offers exclusive access to the Flash Point Skin Pack featuring alternate costumes for Wonder Woman, Aquaman and Deathstroke. If the post-release support for Injustice is anything like steady stream of add-ons players got for Mortal Kombat, then the Season Pass might actually be worth it. PAX East attendees will get a chance to try out the metahuman combat of Injustice this weekend.